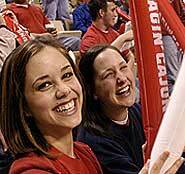 Students at the University at Louisiana at Lafayette are being welcomed back to campus as courses are set to begin Aug. 21. Other plans throughout the week include a Greek Affairs giveaway on Rex Street Tuesday at 10:30 a.m. with a Dive-In movie set for 7:30 p.m. at the Student Aquatic Center. On Wednesday starting at 10 a.m. students can learn about campus organizations at Get on Board Day in the Quad. Lastly, on Friday, students, faculty and staff can enjoy free breakfast in the Quad at 7:30 a.m. followed by a block party on Rex Street from 10:30 a.m. to 12:30 p.m.